If you are against REDD, you are not alone. Around the world, a growing number of communities, organizations and movements as well as experts are not limiting themselves to asking critical questions about REDD any more, they have explicitly declared their opposition to the mechanism. A coalition of indigenous peoples’ organizations has called for a global moratorium on REDD projects. 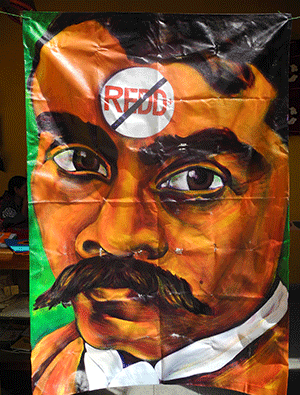 Bolivia has a mandate (from the Cochabamba People’s Summit) to not let REDD pass at the UNFCCC level. Interpol has warned about the opportunities REDD provides for organized crime. If you are not into the REDD business because you hope to make some money with it, then you should start asking yourself whether all these voices can and should be dismissed. Read my full post on REDD-Monitor.